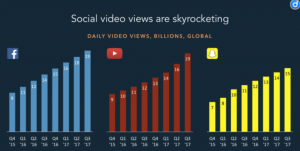 Mark Zuckerberg said last year that video is a “mega trend” — and results from a new Animoto survey are proving him right. Animoto, a video creation service focusing on small business marketing, released its consumer and marketer trends report today after interviewing over 1,500 consumers and marketers. For small businesses, investment in social media and video is specifically imperative — 46% of consumers watch more video ads on social media than on TV and 73% of consumers have been impacted by a brand’s social media presence when making a purchase decision. While video is quickly becoming consumer’s favorite kind of branded content on social media, there are still reasons for marketers to be weary of it. Video creation from scratch is time-consuming, with prior knowledge necessary to operate the complex tools and software. Animoto, which has 120,000 subscribers paying annual fees ranging from $100 to $500, has pivoted their business model to help small businesses speak the language of video. 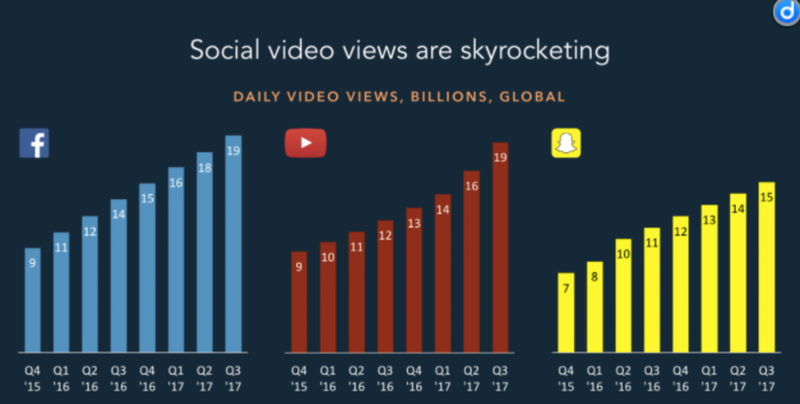 In just the last three years, the landscape has changed dramatically — and the challenges that prevented small businesses from investing in video aren’t there anymore. Small business has become Animoto’s bread and butter, with the development of a pre-made template that allows customers to easily drag and drop content into the software. “As technology is evolving and there are more DIY tools that are available to small businesses, they’re able to hop on this trend of video,” explains Hsiao. In order to succeed on social media, small businesses need to be doing more than just creating brand awareness campaigns — they need to show people the products and services they have to offer. Over 30% of consumers look at a brand’s presence on social media before going to their website, meaning social media can make or break a decision to buy. Do you have any experience creating and/or marketing videos for your business? Please share your comments below!